Will Apple merge the MacBook Pro and Air lineups? Right now if you want a 15-inch or larger notebook from Apple, you have to go MacBook Pro — the thinner, lighter MacBook Air notebooks come only in 11-inch and 13-inch sizes. But that could change in the next few months. It’s been rumored before, but on Wednesday a new report is saying that not only will Apple(s AAPL) introduce a 15-inch Air, it will replace the 15-inch Pro, or as Electricpig’s source put it, “effectively killing the Pro for the average consumer.” That is, the 17-inch MacBook Pro might hang around for professionals who need that larger screen. They place the timing of the rollout of new MacBook Airs in April. The source is a “premium Mac accessory maker” involved in docking solutions. That they would have direct knowledge of Apple’s plans isn’t too likely, but that they would be planning for an updated MacBook would be very much expected. But whether the source does have direct knowledge or not, expanding the MacBook Air lineup is a very logical step for Apple to take. After using an Air for any amount of time, the Pro, while more powerful and with more ports, feels bulky by comparison. The Air is no longer an expensive, niche device: the 13-inch Air starts at $1,299 and the 13-inch Pro starts at $1,199. It’s one of Apple’s best-selling laptops — as of last fall, it accounted for nearly a third of MacBooks sold. That’s a good demonstration that Air characteristics that were once considered trade-offs (no optical drive, no ethernet port, less local storage) aren’t barriers for everyone, especially in today’s cloud- and iCloud-centric computing era. For these reasons it’s fairly easy to see why Apple would want to expand the Air lineup to larger screen sizes and potentially more buyers. But it’s true that the Air isn’t for everybody. 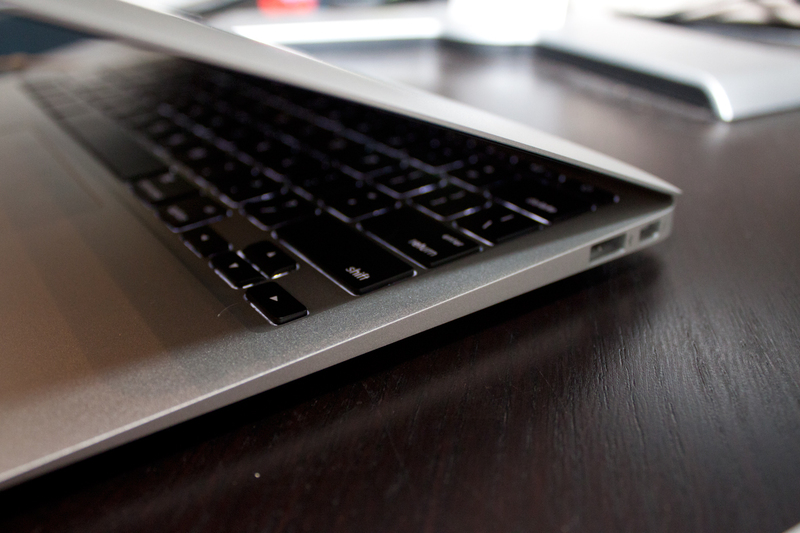 Would you be disappointed if Apple discontinued the 15-inch MacBook Pro? I think it is inevitable that the Macbook pro won’t exist in the next few years because Apple is creative enough they will eventually be able to be able to cram the performance of the Macbook pro into the size of the Macbook air. Already the Macbook Air is catching up and when I used it I felt there really isn’t that much of a difference between the two.. I almost liked the Macbook Air better anyway. Although I wish it had that great glass display I love in the macbook pro. my 17″ mbp just got stolen. it was almost 3 years old. i had put a 240gb ssd in it and it had 8gb ram, so it was very fast. a 15″ mba would be nice, but only if you could put 8 [or 16] gb ram in it, and if it came with a 256 or 320gb ssd option. also, 1900×1200 resolution would be perfect. or a retina screen. The Air is the future. I anticipate Apple keeping the 15″ Pro for a while, alongside a 15″ Air, but by year’s end the 17″ Pro will be the only one left. What is optical storage? Is that when the drive has a see-through case? While I’m interested in the rumored lighter, thinner MBP (my 15″ gets really heavy in my backpack after a few hours), I’ve learned from experience to skip the first version of any new Apple product. Besides, 2013 brings Intel’s battery-sipping (and more powerful than Ivy Bridge) Haswell chips, as well as reported advances in SSD technology that could yield 1TB drives at “reasonable” prices by then. Since “Air” style storage is not (easily) upgradeable, I want to get the most capacity I can without breaking the bank. In the meantime, I recently purchased Applecare for my Early 2011 model. With it’s Hi-Res display, 8gb ram and 7200rpm, 750gb hard drive, it’ll do me fine for one more year. I don’t think they can get the graphics or processors on par with the current MBP in an Air chassis. I bought a 2011 15″ MBP as a desktop replacement. I pulled out the optical drive and stuffed a second SSD in there to house my virtual machines.Apple needs to offer a 15″ Air with 500GB SATA3 SSD, 16GB of RAM, i7quad, and discrete graphics to get me to buy. And anyone who thinks SSDs are too expensive doesn’t value their time appropriately. Pro = professional. I would be disappointed. I highly doubt that Apple could cram a quad core i7 into the thin shell of a MacBook Air without some radical thermal and electrical redesign. I’m not saying that it’s impossible, it’s just improbable. I would not miss the CD drive or ethernet ports, as long as a USB alternative was made available (they already are from Apple). The next gen chips are certainly faster than what exists in the pro lineup, but my guess would be that a single lineup can accommodate all needs. The differentiation between a 13″ Air and a Pro is not great enough for to compensate for the weight advantages. That may be true for consumers but it doesn’t work for Professionals who use their computers to generate income. Don McCallister of Screencasts Online recently tweeted about a test he’s doing where he’s prepping all of his video work, normally done on a Mac Pro, with an iMac and Macbook 11″ Air. Yesterday he tweeted that his encode time doubled from roughly 20 minutes to 40 minutes. That’s 20 minutes of lost or diminished productivity. Macbook Air fit a need as well as Macbook Pro and combining them would likely yield an poor laptop for both markets. Yes, I agree with the video performance, since I use my Air to chop video segments for user research. But, I make money on my Air, and design mobile applications and experiences. While I am neither doing heavy Photoshop or video work, I am doing it. The 15″ could be the division point to more power, although I would love nothing more than a super powered 11.6″. It just doesn’t make sense. I could easily see the air line being expanded to a 15, maybe dropping of the 13 in MBP but the two lines are very different and at this point it is not cost effective to produce a MBA style machine that can compare to the MBP in the same size (unless we drop the SSD out of the MBA which makes no sense). I really see the MBA line filling the niche of what the now discontinued MacBooks filled but to try and get them to replace the MBP ignores one of the biggest group of users that specifically buy the MBPs: artists, designers, developers, photographers, musicians, etc etc etc. These people need portability and high end processing with a lot of storage in one place. A redesign of the MBP to make it more like the MBA, sure that might make sense, but I would expect it to still have the option of traditional hard drives, optical drive, higher end processors, etc. a 15″ Air sounds good but the question is does it atleast have the power in terms of discrete graphics and things like a quad core chip which u do get in a 15 inch pro, as some people prefer the 15 inch from the 17 in terms of partability while it is sufficient for their needs, saying bye to the optical drive and ethernet port should not be a problem but there sha;; b ports on both sides with multiple usb points…. The MBP 15 is my main computer, and while I like the idea of a Macbook Air with a 15″ screen, I’m not sure it works. The big issue is storage space. SSD drives are fantastic — super fast, no chance of mechanical failure — but still far too expensive. I’m currently at 85% utilization on a 500GB drive. Similar capacity in an SSD drive costs an additional $1000 right now, and that would price me right out of the market. Why use so much space? I develop software for a living, and Mac is the hands down the best all-around development machine – I run Windows and Linux VMs for all my cross-platform stuff. With 3 different operating systems and a number of SDKs and developer tools installed, you have to have at least 400-500 GB of storage just to get by. I’m not really interested in a MBP 17, either. Don’t need the larger display — I have an external monitor I plug into at work, and could do without the extra weight and size when traveling. So, when SSD prices come down, I’ll buy in, whether that’s a Macbook Pro with SSD (which you can buy now), or a slimmer Macbook Air. But until then, I sure hope Apple doesn’t kill mid-range Macbook Pro. I have an 11″ MBA with more than 6TB of storage. It has an internal SSD drive for anything that requires speed (like the OS and any media files being processed) and it is seamlessly and automatically connected to 6TB of hard disk space in my office using Slink. When I’m at my desk, I use my 27″ iMac, and when I’m mobile, I use my MBA. Local storage limitations are a thing of the past because you can combine networked storage with local storage to create a very large amount of effective ‘virtual’ storage. I usually use DropBox to share business material with others, but in a pinch I’ll use a USB flash drive. Haven’t used a DVD or CD in a couple of years now. Everybody’s needs are different, but I think the need for the unique attributes of a MBP is just about behind us. I, for one, could not manage with my 17-inch MacBook Pro not having a dvd-burner. When you have to burn discs for clients, not having a burner built-in would be a bit of a pain. The lack of an ethernet port probably won’t upset me, as I have yet to use it yet; Wireless-N is faster than my needs. The slimmer design of the Air is very nice and the lighter weight is nice. Wether Apple eventually decides to convert its entire MacBook Pro line into MacBook Airs is yet to be announced, but I do feel that they eventually will make that move in the future to keep things consistant. When that time comes, the only things that they better do are: (1) keep offering the external disc drive at an affordable price and not discontinue it either (2) continue to offer the 17-inch display with anti-glare. I have a 17″ MBP that’s now three years old. About a year ago, I put a solid state drive in it, and it’s like it was a new machine. The truth is that the technology is still perfectly adequate. What has changed is the size. My 17″ is the greatest computer I’ve ever owned, but wow is it heavy. I bought it because, at the time, the resolution on the 15″ model wasn’t high enough. So today, if they can deliver a 15″ air, and the rumors about a high resolution screen are true, it’s a slam dunk for me. I imagine I’m not the only one who thinks so. The Macbook Pro 15 being discontinued is not what this source is saying. They are saying that a 15 Macbook Air “effectively” kills the “need” for a consumer, who wants a larger than 13″ screen, to purchase a Macbook Pro. Leaving a $300 gap between the 15″ Air and the next Pro. Makes a whole lot more sense IMO. I think it is also significant that it was not this ‘source’ that used the expression “killing off the Pro for consumers” but rather the article’s take on it.